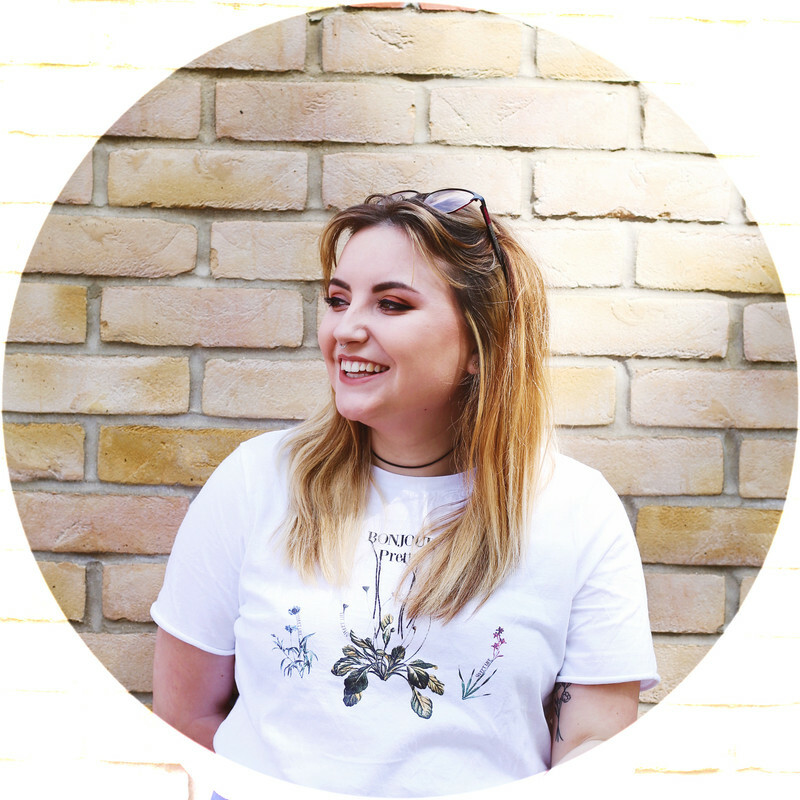 Okay, I didn't think I'd fall in love with a beauty subscription box as much as I did!? While last months box was a little hit and miss for my first box, I still got extremely excited at the thought of opening this box up this month. 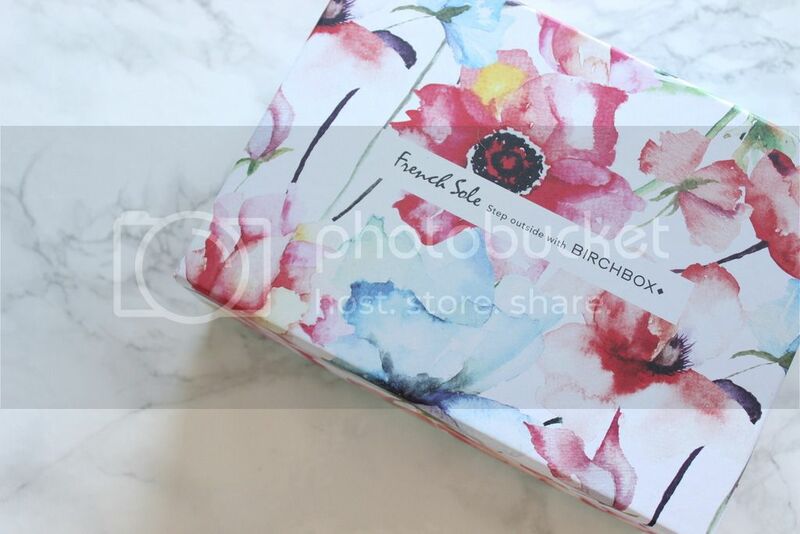 Birchbox this month included limited edition box designs and shoe bag as part of this months theme and the floral theme sold me & I chose French Sole. First impressions? I like this box much more than my first one, while last month seemed to be a big favourite through peoples post, I just wasn't completely impressed. 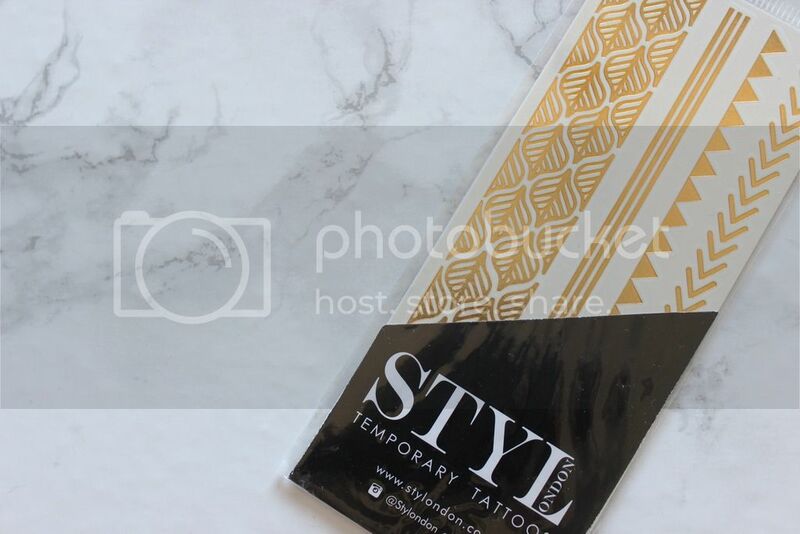 A few days ago I had a sudden urge to try some temporary tattoos and remembered I had some in my birchbox this month. I want to find the perfect reason to put these on, because sadly they're a little too big for me to comfortably wear them for no reason...does that make sense? They've got an adorable tribal theme to them and I think they'll be perfect when I go to the Board-masters Festival in August. Think I may try and find some smaller tattoos in the shops in the next few days and add a pretty metallic design to my skin, even if it ends up hidden under a piece of clothing haha. Oh now we all know I'm terrible with perfume scents...I love them or hate them, but for the life of me I can't describe them. So have this, this smells DEVINE! 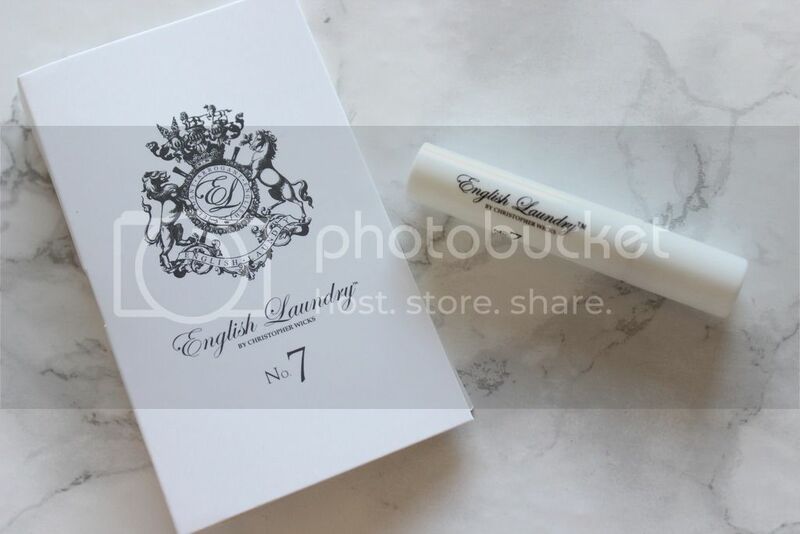 Being as it's from No.7 it's definitely got that brand scent to it, a classic scent and something I'd always imagine the older lady wearing, but with that being said it's also got a fruity fragrance to it, which is always a favourite of mine. But hear me now, I'm 22 years old and I want this perfume for myself! Sadly the price range of £60 is just that little bit out of my budget. 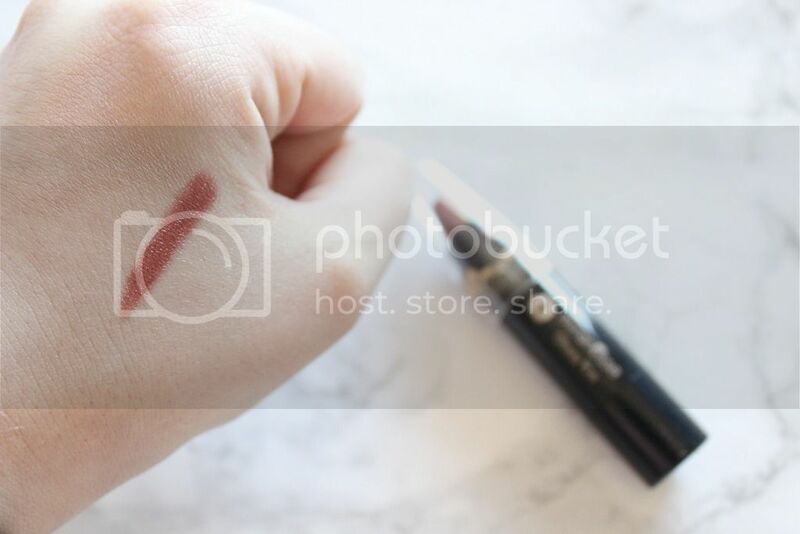 I squealed a little when I saw this, I LOVE lip products and I LOVE this shade. One problem, it's a lip gloss. Something didn't quiet add up at first, I read glossy kiss on the packaging but I never actually clocked on that it would be a gloss formula until I tried it on, stupid of me I know. So when I first tried this on, I assumed this would be a more deep plum toned colour however it's has a much deeper tone of brown within. I will continue to use this & test it out with a lip liner & other lipsticks in the future. I must admit I haven't used this yet but my hair is always in need of some good lovin' and from what I hear this will do the trick. I've recently re-dyed my hair so for the time after my shower which I remember, I'll add this into my hair routine. I may do a separate review on this as I need to find more hair products for myself, and reviewing them for everyone else feels like I'm helping. Something about this product got me so excited. 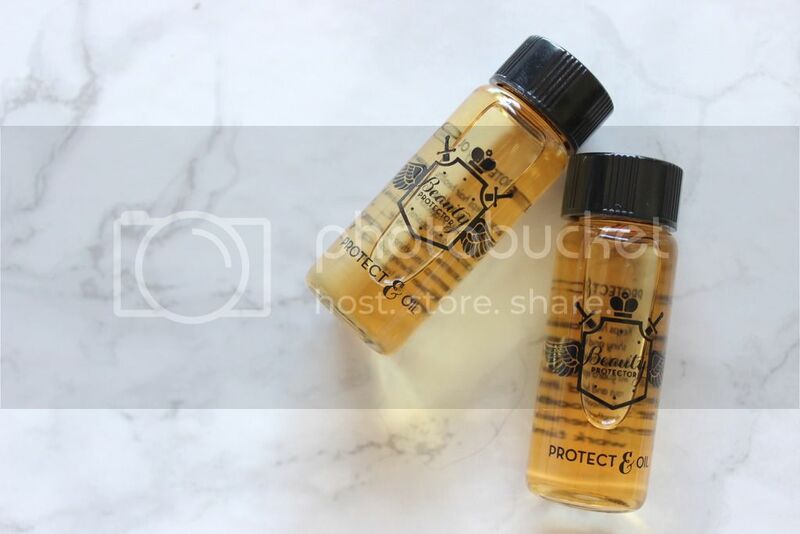 By the way of this post, I'm in love with every product under the sun. But let me tell you this, perfume, lip products and BODY LOTION are my favourite things. I LOVE them all. It's usually down to the vanilla scents as to why I love body lotions, but this doesn't have that. While that's a little disappointing, this scent is still something I like. I don't know how to describe it's scent but I'm definitely excited to get some use out of this. 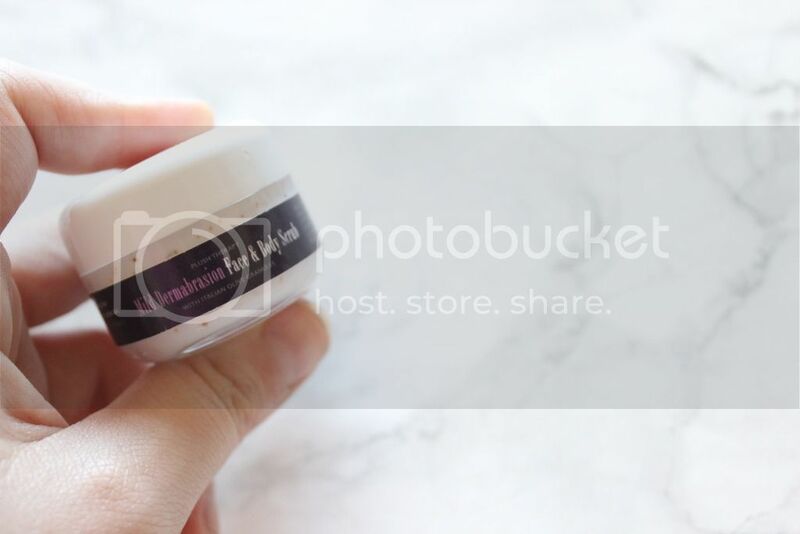 The final product I haven't yet used, I'm getting more into using face and body scrubs lately so this does need to be tried soon! Something about it reminds me of a product my mom used when I was younger and it slightly puts me off it (but I'm not sure why, I think the product my mom used smelled funny ha). It's got what I can only describe as a milky texture but I'm pretty sure this will leave my skin feeling extremely soft. Oh I've got to test this out soon! I'm going to a festival in August and I may just have to use them for that day :) they're so pretty!! 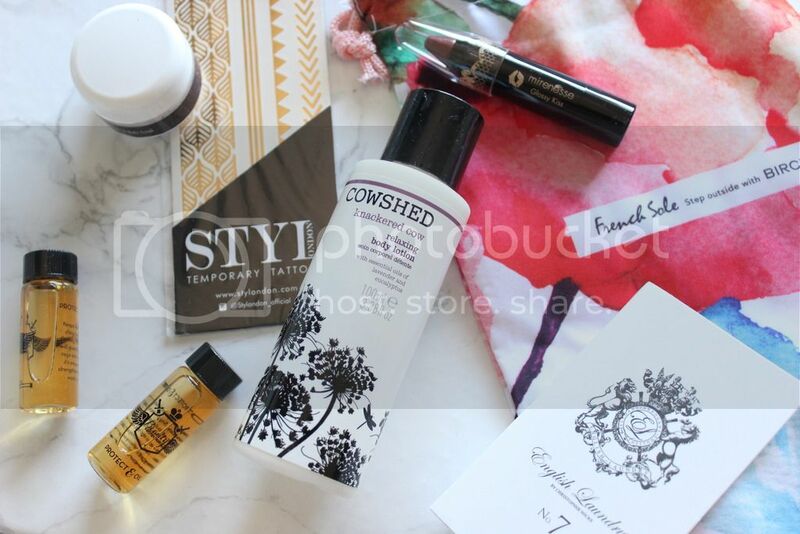 I'm really loving the look of this Birchbox, super jealous about the Cowshed product too! Isn't it just so pretty!! 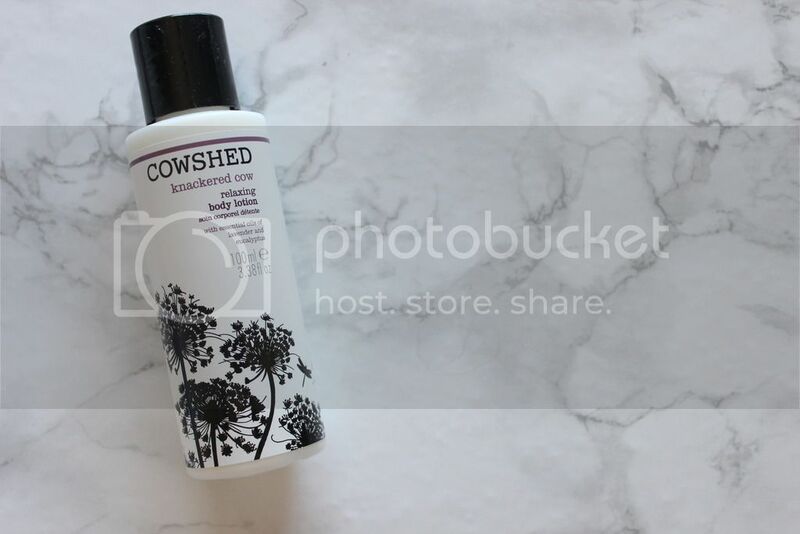 I've got the Cowshed product at easy access for me to start using some more & I just keep forgetting about it, oops!